The Granger Bros. – BORN TO CHILL. Matt Granger’s career began as videographer on the original “X-Men” (2000) which led to the creation of the “X-Men 1.5 DVD” & the opportunity over the coming years to be mentored by director Bryan Singer (The Usual Suspects, X-Men), screenwriter David Hollander (Ray Donovan) & Oscar winning actor Russell Crowe. 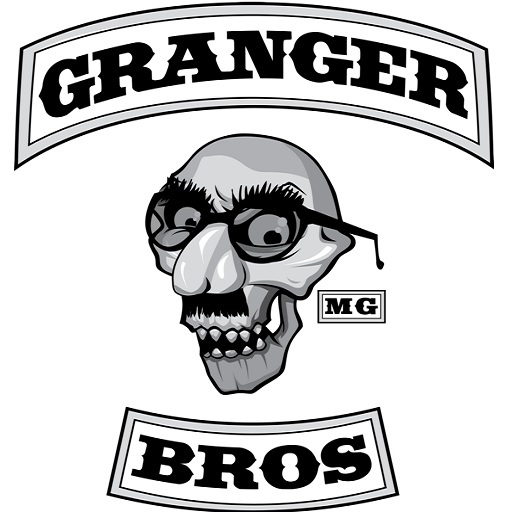 Now, for over a decade, Matt and his brother Mikey, known collectively as “The Granger Bros” have been creating their unique brand of films including “Epic” which featured rare comedy performances by Robert Patrick & Harrison Ford, as well as numerous shorts licensed by Lionsgate for use in the film “Good Luck Chuck”. In June of 2013, the brothers’ feature comedy “Alien Abduction” was optioned as part of the “Final Five” in the Cinecoup Film Accelerator competition and received international recognition. The brothers’ produced/co-written horror short “Chained” was an Official Selection of Screamfest LA 2011, received the 2012 Rincon International Film Festival Award of Excellence and has been an Official Selection in festivals around the world including The 2014 Housecore Horror Film Festival in Austin, Texas. The brothers have now adapted “Chained” into a feature screenplay entitled “The One You Feed”. The film is scheduled for production in the spring of 2018, helmed by director Jeff Renfroe (The Colony, I Am Steve McQueen). In addition to their work in film, the brothers were the co-creators and organizers of 2012’s “519 Punk Festival” an outdoor music festival, featuring 11 punk/metal bands headlined by “The Asexuals” featuring John Kastner of the Doughboys, a reunited “Teenage Head” and metal legends “GWAR” in their first and only international, unmasked performance. The festival was a great success and raised several thousand dollars for numerous charities. In their spare time, Matt & Mikey enjoy long discussions about “whose fault it is”, painting self portraits with watercolors and imagining a future where we will all live in perfect harmony with our robotic overlords.